If I were to pick two Disney characters that I am most like they would be Wendy Darling and Jane Porter. Wendy is the “mom” and nurturer type and that is totally me but tonight we’re focusing on Jane. 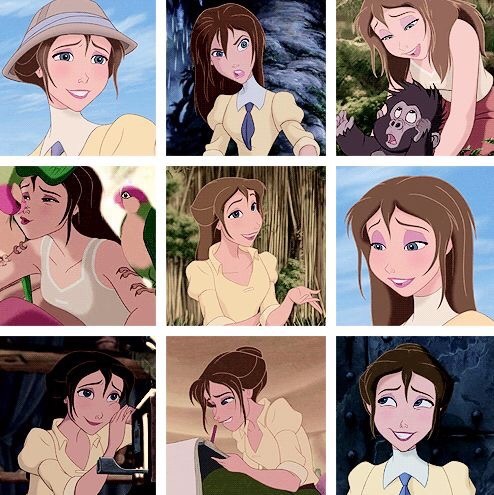 Jane Porter from Disney’s Tarzan is a reader, a learner, an adventurer, a bit awkward, and totally my aesthetic. She and I were cut from the same cloth. If you know me you know that I love to learn and that I’m a bit on the weirder side lol. I can be a bit offbeat and live all the more excitement because it. Just like Jane, I seek to explore and learn in life and learn from the people around me. Jane was kind and caring and I hope with all my quirks, I can be like Jane and not be afraid to get out of my comfort zone and explore.